The EPFL School of Computer & Communication Sciences invites applications on computer science education and on learning analytics. For the CS education position, the research should address the effectiveness of new programmes ranging from unplugged computational thinking activities in kindergarten to teacher training and the computational thinking class that all our engineering freshmen have to take. The learning analytics position would join our strong data sciences team, namely associated to our master in data sciences and our master in digital humanities. 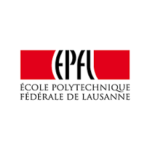 EPFL stands for the Swiss Federal Institute of Technology, Lausanne. This young and dynamic university usually ranks among top 5 universities of sciences and technologies in Europe. Our vibrant campus is located in the French speaking part of Switzerland, but as we are one of the most international universities. English is the working language. The CS school usually ranks among the top CS departments worldwide. The position(s) will also be associated to LEARN, the new EPFL center for learning sciences to open on 10.10.2018. It brings together multiple initiatives on education and digital education. EPFL has produced over 80 MOOCs gathering over 2 million registrations worldwide, opened an extension school, sold over 40,000 robots to schools for learning to program, conducted research on technologies for vocational education, eye tracking, HCI, AR, tangibles, analytics, etc. and produced cutting edge research in many sectors of educational technologies. EPFL also opened an incubator that hosts 70 start-ups in digital education, the Swiss EdTech Collider. This concentration of EdTech experience and expertise is unique in Europe. If you want to know more about the quality of life on the shores of Lake Geneva, the gorgeous Alps landscape and growing a family in a safe democracy, don’t hesitate to ask me any question. If you get the job, I will wax your skis! To apply for this job please visit facultyrecruiting.epfl.ch.